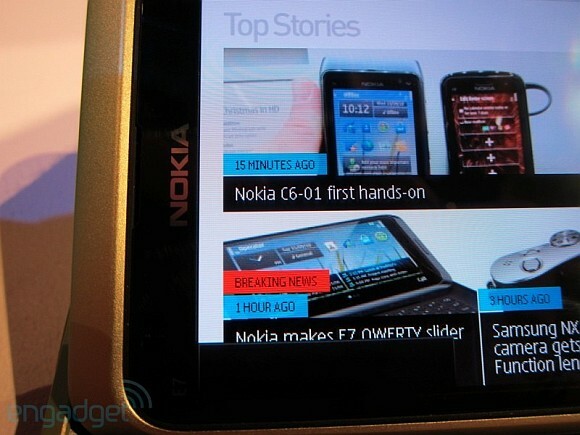 Nokia’s recently introduced C6, C7 and E7 comes with a Clear Black Display (CBD). 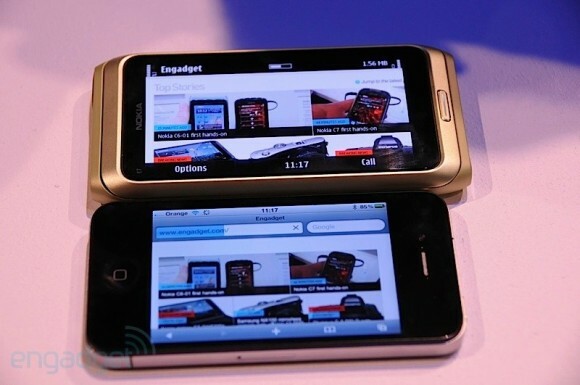 The engadget team that was covering the Nokia World 2010 event managed to compare a prototype E7 against the iPhone 4. According to engadget, the iPhone 4’s 3.5″ retina display at 960×640 seems to have noticeable blue warmth and it isn’t as vibrant or bright as the CBD. However the CBD does seem to be oversaturated. 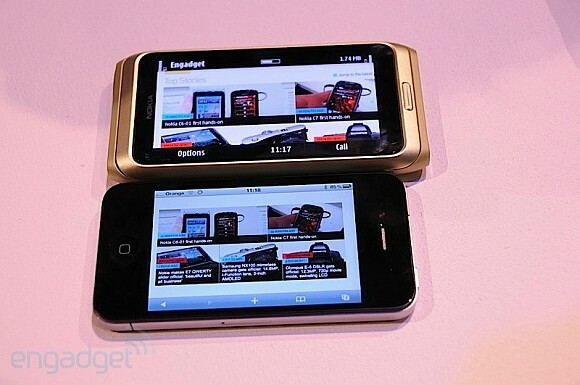 From their short play, they reported that the Nokia E7’s AMOLED is just as good as the Samsung Galaxy S‘s Super AMOLED screen. We’ve yet to see its true potential outdoors considering CBD’s true strength lies on visibility under sunlight. Check out more comparison shots after the jump.